Neighbors who live in my subdivision tell me that my house was one of the last houses built in the neighborhood. I suspect it was, because the lot is not the most attractive. It slopes down to bottom land and a creek a few hundred feet away. It is full of trees, some 30 of them, that are way too close together. That means they are very tall and skinny. All parts of the lot behind the house are mostly shaded by the trees and one section behind the garage is very steep. So it is almost impossible to grow anything in this area, especially the steep part. Years ago, I decided to plant a ground cover in that area to control erosion and provide some type of cover that I did not have to mow or maintain. I selected English Ivy and it gradually covered the steep area behind the garage. What I did not know was that not only does it cover the ground but it also climbs trees. Now, it has not only completely covered the trunks of three or four of my trees, but also a couple of the neighbors’ trees. It attaches itself to the tree trunks and grows up 50 feet or so. It crowds out most other plants under the trees, except poison ivy, which I continually keep on the lookout for. Maggie likes to romp through this area and hunt for voles and other critters and occasionally gets some poison ivy oil on her whiskers that she then shares with me. You can see why I try to keep the poison ivy under control. Many people have asked me what kind of a ground cover they can plant in areas similar to my spot behind the garage. I used to recommend English Ivy, until I found out it is a climber. Now many landscapers do not suggest it because it is so invasive. I wish I knew about that 30 years ago. Now, more people want to know how to get rid of it, rather than planting it. I did some searching for ground covers on the Internet and found some excellent ideas at www.hgtvgardens.com where they list some 300 different ground covers that do well in shady areas. Some you might want to consider are: common periwinkle, lily of the valley, pachysandra, Algerian Ivy (variegated) or bugleweed. Check out this site where you can select based on your specific location in sun or shade and other variables. Also, I suggest you look at the U of I page at http://urbanext.illinois.edu/hort where you will find all kinds of horticultural information. You can also check with your local U of I Extension office or master gardener for help with your horticultural questions. In addition, you might even be interested in becoming a master gardener. You can find details about that program on the same web page above. Q: When are you supposed to mulch perennial flower beds? A: Normally you do not need to do that until the ground freezes. You can also mulch around rose bushes at the same time. Stuart Hawbaker can be reached at jmatherly@herald-review.com. The saying “leaves of three let it be” is a good start to protect yourself from poison ivy but officials say there’s more you need to look for. When trying to find poison ivy, it can come in all shapes and sizes. Max Glover with the University of Missouri Extension said they can appear in almost any area but you’re most likely to find them in places you don’t keep maintained. “The conditions in terms of habitat and something for the vein to grow on. It tends to like a shady area and the areas that don’t get mowed frequently are the areas where it shows up the most,” Glover said. 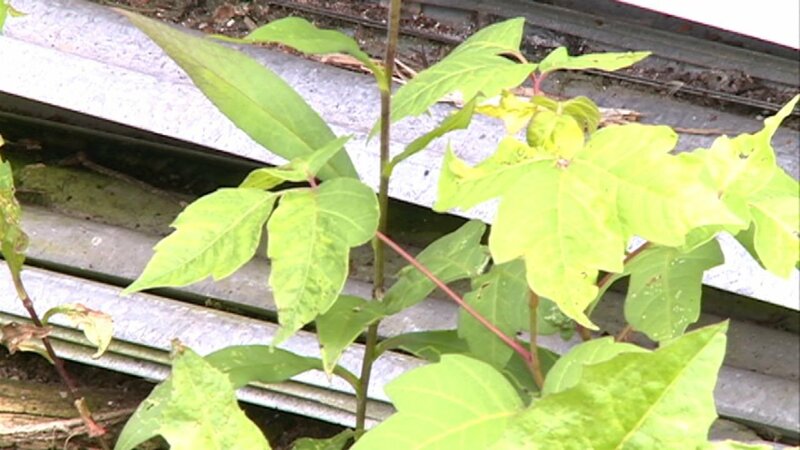 Glover said if you do find poison ivy in your garden or around your house, treating it with chemicals is the best way to kill it, however it may take more than one attempt. Welcome to Home Health House Calls. Poison Ivy and poison Oak are types of plants that cause Skin rashes. These plants contain a type of sap oil. If you’re allergic to this oil, touching one of these plants may cause your skin to react. Within minutes or days, you may have a red, swollen, itchy rash. You can help prevent a poison oak or poison ivy rash. Know what these plants look like And then avoid them. They grow in the form of vines, small plants, and large bushes. In most cases, poison oak and poison ivy have three leaves per stem. Watch out for these plants when you go to any outdoor area. Avoid touching either of these plants. When heading outdoors Wear long pants and a long-sleeved shirt If you are going to a heavily wooded or brushy area. You should also wear gloves when working outside.